Jeremy Zhang is a shining example of a past graduate who has gone on to achieve big things. Since studying with us in Melbourne, Jeremy has returned back to his home in China to start Uni Uni cafe in Nanjing and specialty coffee roasting company, M2M. We first met Jeremy as an aspiring home barista with lofty ambitions of competing in China to become China’s best barista. A few years later in 2011, Jeremy trained with us across several years to put together a barista competition routine for the 2013 China Barista Championships. Jeremy is a man who leaves nothing to chance. He travelled to Indonesia to source his own coffee, had his coffee roasted in Melbourne by legendary master roaster, Bruno Maiolo and had a custom made table setting created. With rigorous training and refinement, his first ever competition saw him podium finish incredibly in third place. Judges were so impressed by his performance in Shanghai they invited him to be a calibration competitor for the 2013 World Barista Championships in Melbourne. Fast forward another year, Jeremy competed again in China, this time taking out first place to be named China’s best in 2014 which earnt him the right to represent China at the 2015 World Barista Championships (WBC) in Seattle, USA. Although Jeremy did not make the finals at WBC he managed to make such an impression on the coffee world that he was named a World Coffee Events All-Star. 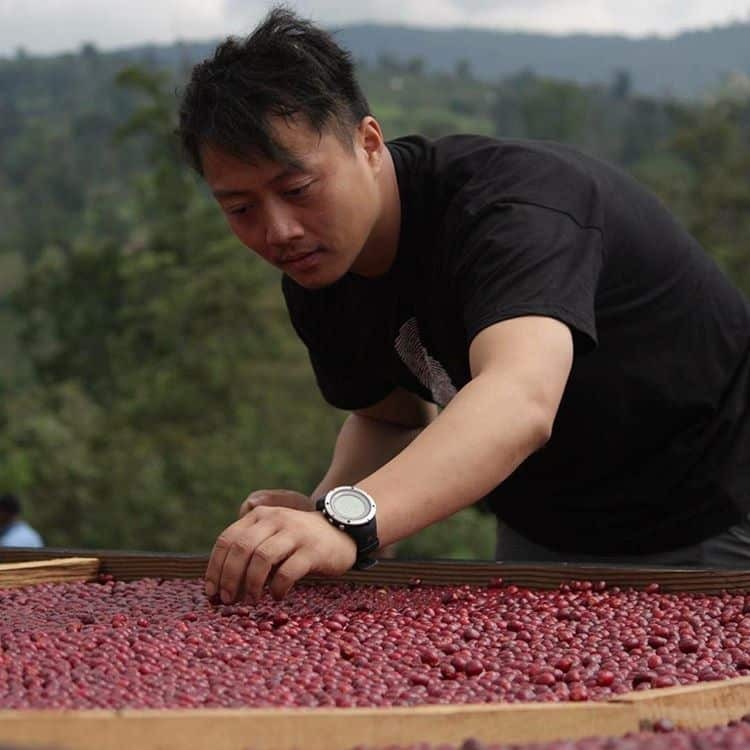 Jeremy is now the go-to man of specialty coffee in China, helping to bridge cultures and bring specialty coffee to the masses in China. In 2016, Jeremy was crowned China’s best barista again in Shanghai, becoming China’s first repeat national champion. Jeremy represented China at the 2017 World Barista Championships in Seoul, South Korea where his presentation focused on the lost art of blending and an innovative new approach to extraction through double grinding coffee when dealing with different density and screen sized coffees. Jeremy progressed to the semi-finals from a field of over 60 competitors, eventually placing 8th in the world.